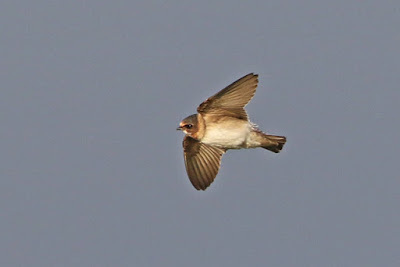 News broke on Friday night of a Cliff Swallow at Minsmere, Suffolk. With Saturday going to be a day of having just the gulls for company as it now turns all wintry, this swallow sounded like a pleasant diversion. And so to secure some views, an early start from London with Josh and Staines was required. I'd previously seen a Cliff Swallow hawking over Porthellick, St.Mary's, Scilly on a sunny autumnal day in September 2000, as well as countless birds on most of my US trips. So what was the point in going to Suffolk and sacrificing on all the sleep? I don't know really, but I felt compelled to as soon as the news broke. It was either this, or chance an Eye-browed Thrush much further away in Northumberland. But with the onset of winter, I genuinely felt that as it was a weekend it'd be rude not to eek out the last bit of quality from this autumn. And, up until yesterday, it was going to be the first autumn since 1994 where I hadn't seen an American landbird. Which saddened me. And so in all its glory, the Cliff Swallow got up with its seven Swallow companions (did check for erythrogaster but still we await our British first) and showed itself well in bushes behind the visitor centre. With over a couple of hundred in the crowd, must admit that none of the usual twitcher bashing was needed; bar the odd person getting in each other's way, the whole event was harmonious and a decent mainland twitch. I couldn't resist going down to Dungeness after the swallow, hopeful that the northerly winds and dropping temperatures would have enticed more gulls in to the beach. But that wasn't to be - there was a distant 1st-winter Caspian Gull on the reserve from Firth Hide but bar a couple of Great White Egrets, a Cattle Egret, a redhead Goosander and an adult Yellow-legged Gull pickings were rather slim. Though I did manage to read a Danish Lesser Black-backed Gull ring after 20 minutes of trying! Success all round.